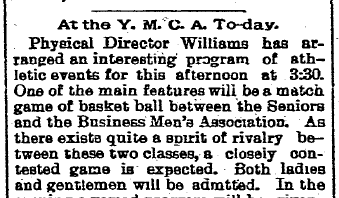 On this day in history, one of the earliest mentions of basketball appeared in Indiana newspapers. This was a momentous occasion for a sport that would become so important to Indiana culture. 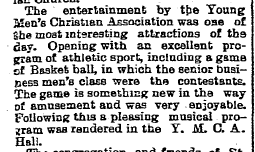 Despite popular belief, Indiana’s first basketball game did not take place in Crawfordsville. 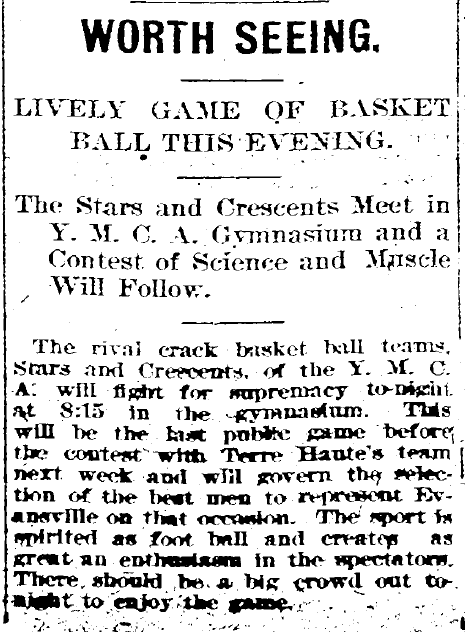 In fact, Evansville newspapers reported on basketball being played in their city nearly sixteen months before the Crawfordsville game occurred. Evansville even played an inter-city game against Terre Haute seven weeks before the Crawfordsville-Lafayette game on March 16, 1894. I made these discovery using digitized newspapers, and published my findings last December in the Indiana Magazine of History. Here are a few newspaper clippings from Indiana basketball’s beginnings in Evansville. Evansville Courier, 25 November 1892. Foreshadowing holidays to come, a sports contest was the feature of this Thanksgiving Day’s entertainment. Evansville Journal, 18 March 1893. 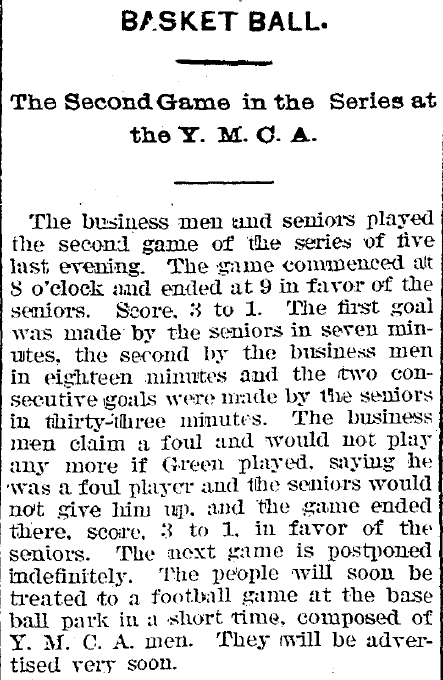 The business men, in protest of rough play, refused to finish the game. Evansville Journal, 28 January 1894. 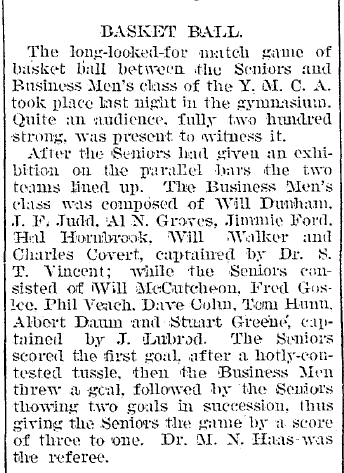 In what is currently the earliest known inter-city basketball game in Indiana, the Evansville YMCA team defeated the visiting Terre Haute YMCA team. Note: Because most of these newspapers were digitized by a commercial firm for the Evansville Vanderburgh Public Library (EVPL), they are not freely available through Hoosier State Chronicles. However, EVPL resident cardholders can access the content for free. Visitors to EVPL can also access the digitized newspaper collection on-site.